We are working with our clients on the best region and season combination for summer events. Here are our top tips for venues off the beaten track among ski resorts that are ideal for summer corporate retreats in Italy. This time we want to talk about corporate retreats and advise you on the best season and region combination in Italy. Corporate retreats are meant to take the employees from the hustle and bustle of the city and slow down. Take the time to clear the head, brainstorm new ideas, reconnect with colleagues, strengthen relationships and learn from each other. Furthermore, the destination must offer employees an opportunity to combine business with pleasure. Summer is the most popular season in Italy. 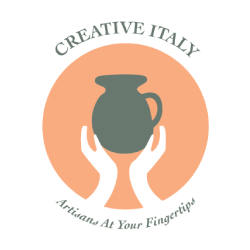 Therefore, we always advise our client to stay away from the big cities and instead explore Italian hidden gems. Italian ski resorts, for example, are one of our favourites during summer period. During peak season hotel and venue rates are higher and it is harder to find the capacity for a group. But in the summer, group rates become very attractive with greater flexibility. Furthermore, you can get five star services for affordable prices. 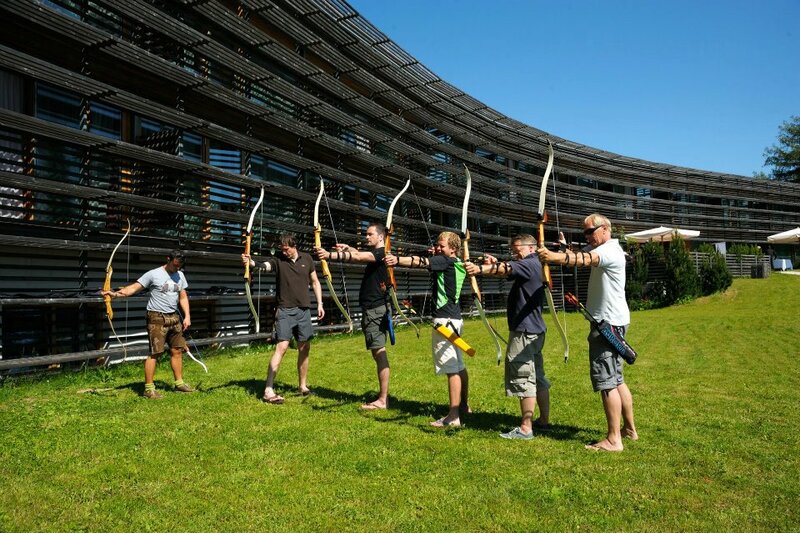 Outdoor activities, such as biking, hiking, horseback riding, arching, fitness outdoor training, cooking classes and many more can complement your business programme objectives by adding a teambuilding element. Here we carefully selected our favourite Italian ski resorts for summer corporate retreats. If you are an international company the Dolomites in Northern Italy is the best destination for a summer corporate retreat and get together. You can reach the destination within less than three hour drive from the airports: Bergamo, Bologna, Bolzano, Firenze, Innsbruck, Milan Linate, Milan Malpensa, Ljubljana, Lugano, Parma, Trieste, Brescia, Venice and Verona. A UNESCO World Heritage Site, the Dolomites is a truly unique destination. 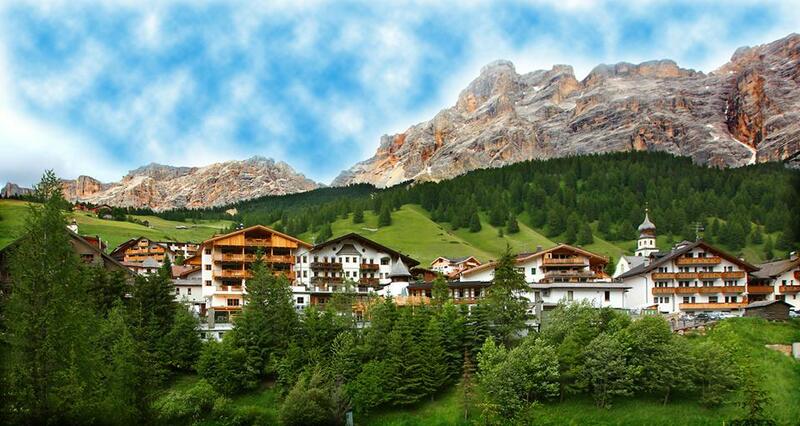 Cortina d’Ampezzo is the jewel of Dolomites. It hosted the 1956 Winter Olympics and nowadays also known for attracting the Jet Set crowds. The village itself is bustling with tourists year round, hosts local events and has attractive shopping and gastronomy options. We can recommend anything between 3-5 night stay at the destination. This will give you enough time to combine business seminars with on-site and off-site activities, as well as giving your delegates downtime to enjoy hotel spa and explore the area. For accommodation in Cortina d’Ampezzo we can recommend the Cristallo Hotel Spa & Golf. 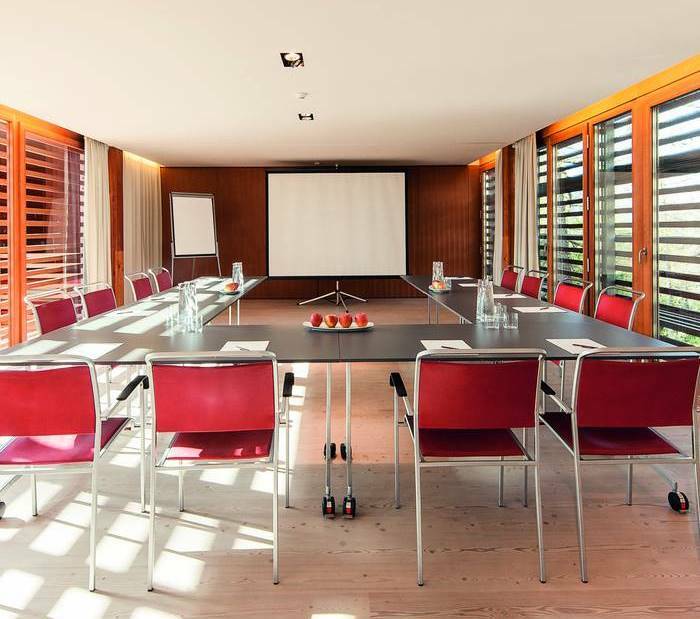 This five star property can offer an “all under one roof” package for corporate groups. 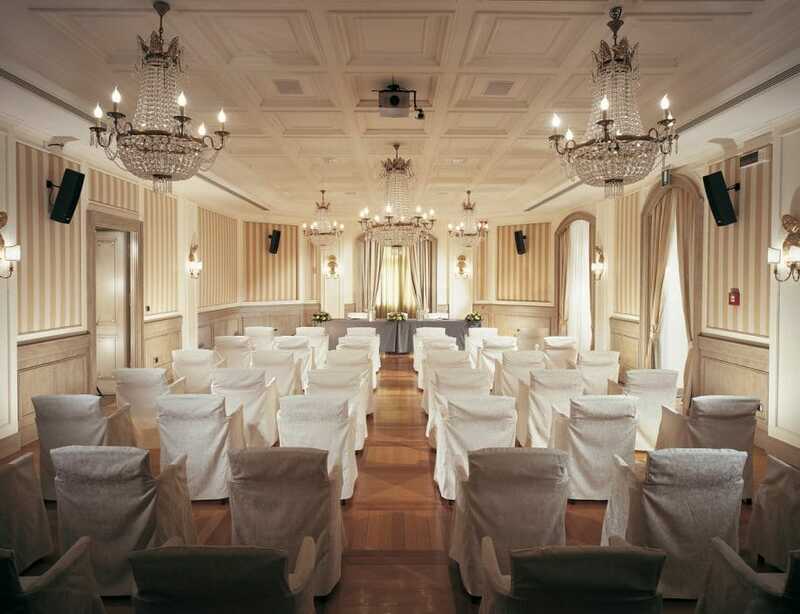 It has meeting and event facilities, spa, bars and restaurants and can support with off-site activities. Additionally, the golf course is easily reachable with hotel’s Golf Cart for delegates to enjoy as part of their hotel stay. If you are looking for something off the beaten track, then we can recommend the hotel Rosa Alpina Hotel & Spa. This little jewel in San Cassiano, Province of Bolzano in South Tyrol is about 45 minutes away from the Cortina d’Ampezzo Town by car. If has wonderful meeting and event facilities, spa and you can incorporate an outdoor programme including walking and hiking, mountain or road biking, mountain climbing or golf. Alto Adige, also known as South Tirol, is located further west from Cortina d’Ampezzo. It is bordering with Austria and Switzerland and easily accessible. With the Dolomites dominating the landscape, the destination offers same natural variety of nature as Cortina d’Ampezzo. Additionally, the region is rich in cultural heritage, seen in the many castles and sanctuaries. In the little historic towns you can find monuments and architectural work. The region is perfect for walking and hiking, trekking, mountain biking, sailing and windsurfing. Additionally, there are wonderful options to incorporate gastronomic activities. 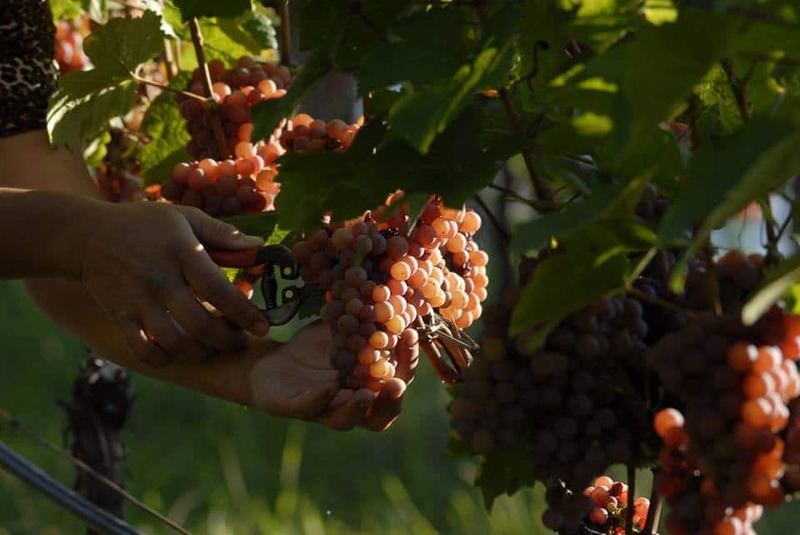 Food and wine trails can take you through vineyards, such as of the pinot noire grape and spumante sparkling wine. You can also learn about other local wines and incorporate a wine tasting and food pairing team building activity. To create a unique five senses experience, we can recommend the Apple Trail in Val di Non, Trentino. The region produces world’s famous apples – Golden Delicious and the Renette Canada. The beauty, vivid colours, natural scents and the tastes are celebration to all senses. The local population who thrives on tourism and agriculture is very passionate about their traditions and will share with your delegates local stories. 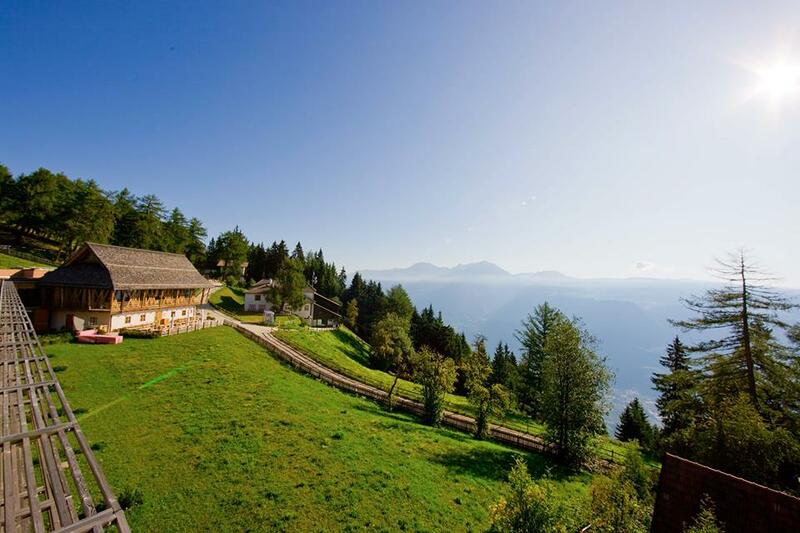 For accommodation in Alto Adige we can recommend the Vigilius Mountain Resort on Vigiljoch for group stays. Opened in 2003 and designed by Mattheo Thun, it is a state of the art building. The resort has its own event facilities, restaurants and spa. With its wood and glass facades, the resort is blending harmoniously into the landscape. The building was built to latest sustainability standards to optimise energy consumption. The Vigiljoch is a car free resort which you can reach by cable car (1800m). Without leaving the mountain, your group can enjoy exploring the 14 springs and learning about the “Meraner Mineralwasser”, which is used to produce the local South Tyrol Beer and about its wellness properties. Furthermore, guests can explore the Saint Vigiljoch chapel from the 13th century, or hike along the intact nature admiring the diversity of fauna and flora. We hope we could excite you and showcase you some of the hidden gems in our beautiful country for summer corporate retreats. We will be happy to also assist you on an individual basis for best activity and accommodation options as well as accessibility, will you be interested to learn more about the destination.